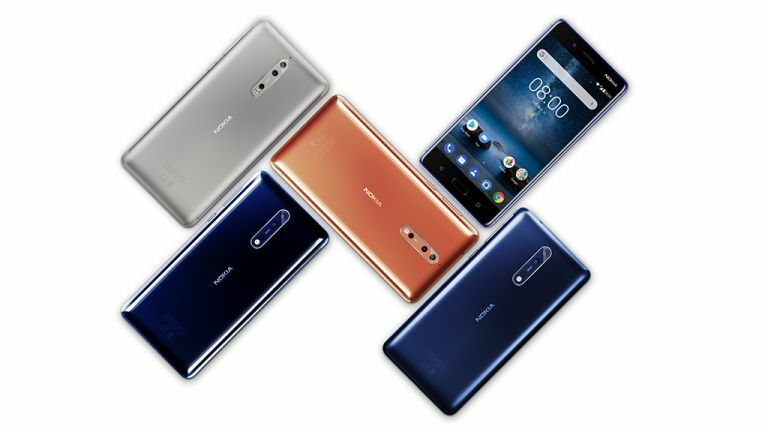 The Nokia 8 is a very solid phone (as you'd expect from Nokia) and the SIM-free price is now truly bargain-tastic thanks to some truly astounding deals dropping left, right and centre. The phone also sports a Snapdragon 835 processor, QuadHD display, and premium build quality. There's even OZO audio capture, which uses three mics to record immersive sounding 360-degree audio. Perfect when you're at a gig or party. The 7.3mm-thick phone comes in a number of different finishes, including Polished Copper which we're huge fans of. However, Steel and Tempered Blue are the UK finishes of choice. It even has three Zeiss-lensed 13MP cameras which can all be used at the same time to capture a "bothie" - essentially a tacked-together image from both sides of the camera, if you're opposed to cringey marketing speak.